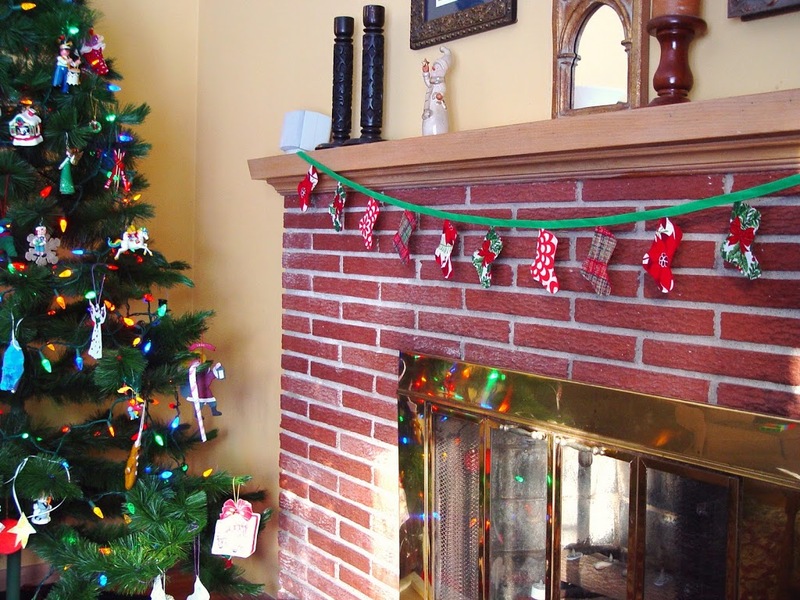 I love the idea of stockings hung by the fire – especially at Christmas. 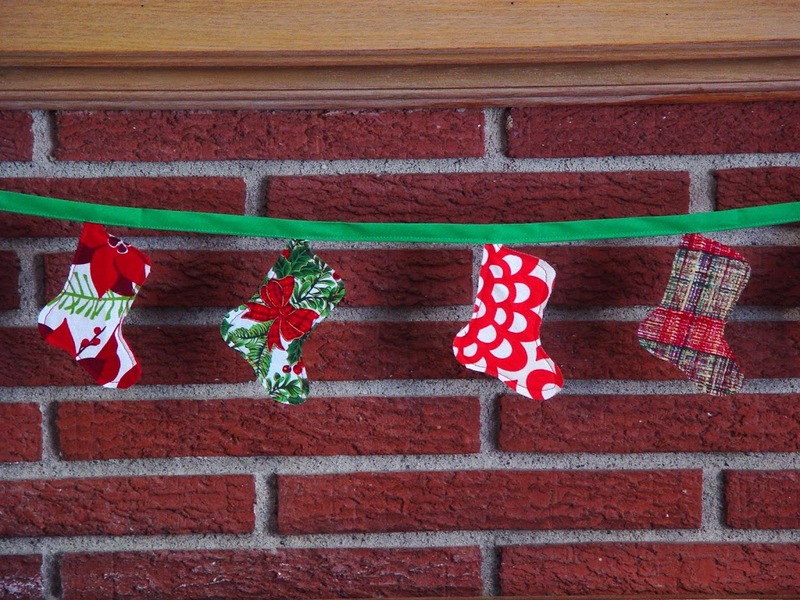 Here’s a quick tutorial for Christmas stocking bunting to hang by your fire. 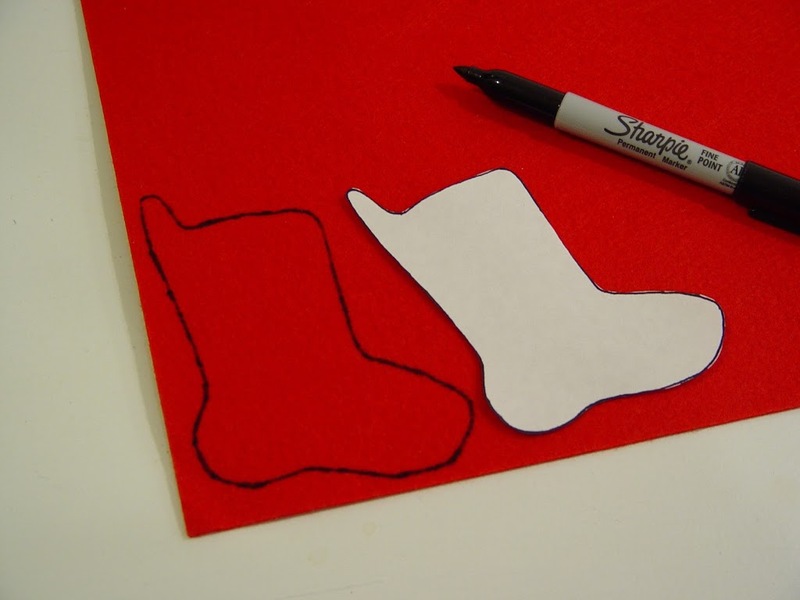 Start by cutting out your pattern and using a Sharpie or a fabric marker, trace the pattern onto the stiff felt. 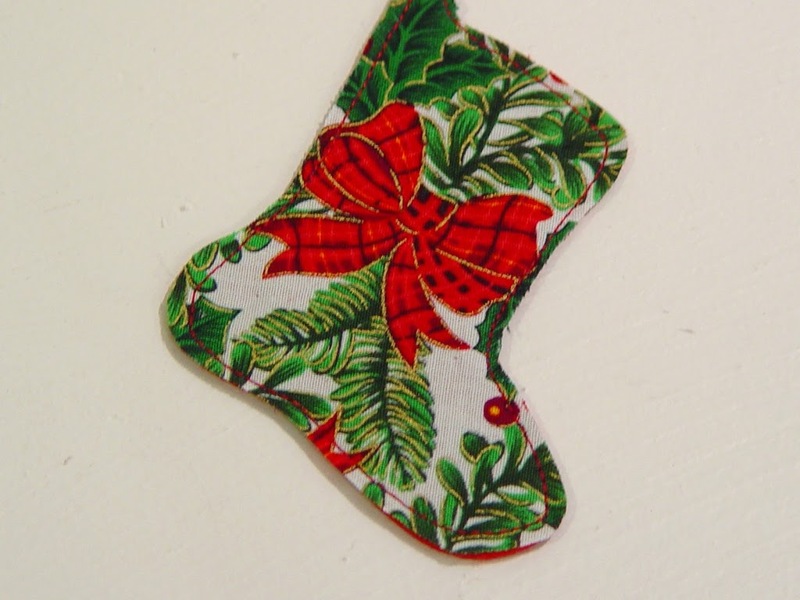 Cut out the stockings from the felt and the fabric. 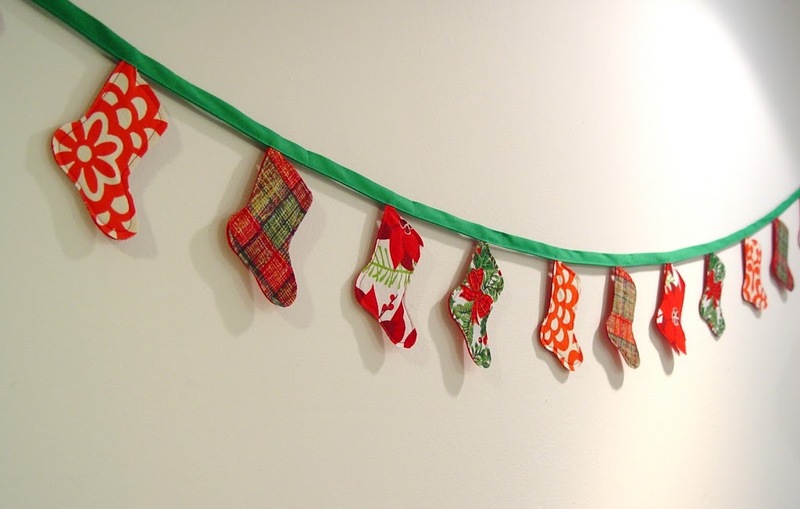 You’ll need one stocking for every 5″ of bunting. 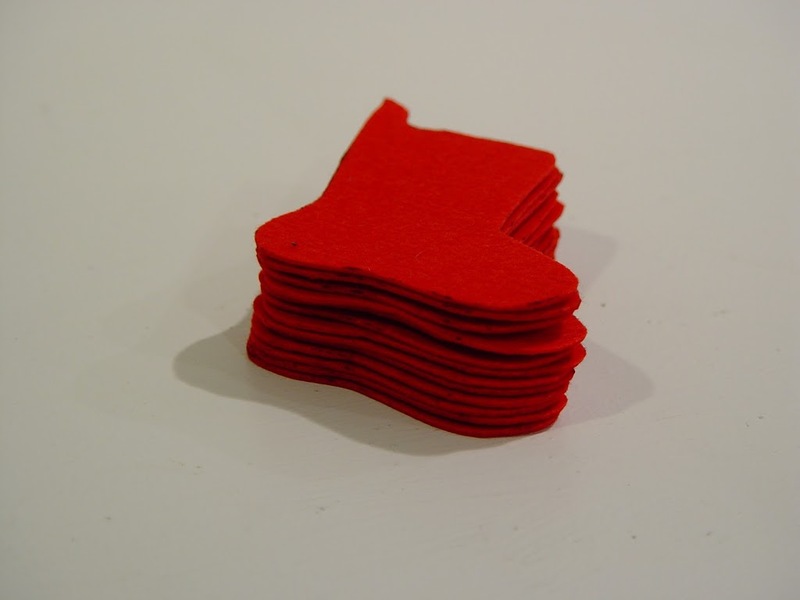 Pin the fabric to the stiff felt and sew around the edge, sewing about 1/8″ away from the edge. 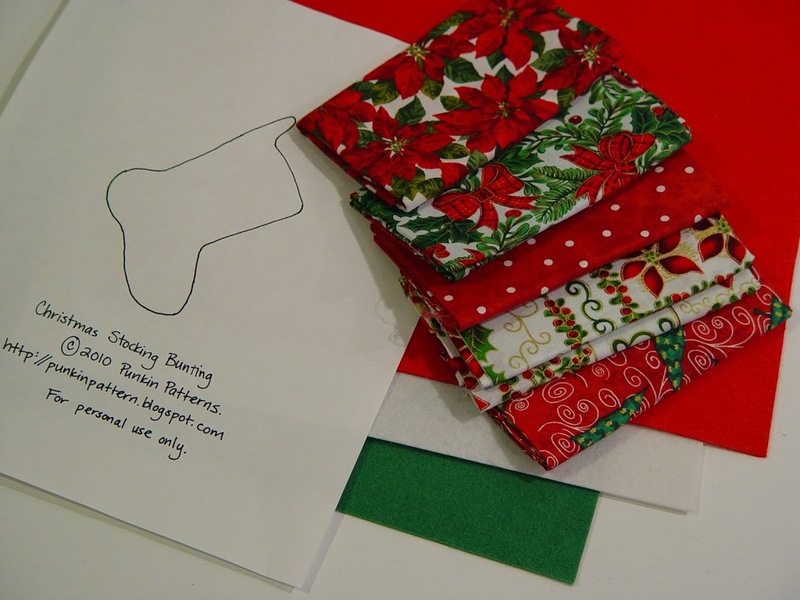 Continue until all stockings are sewn. 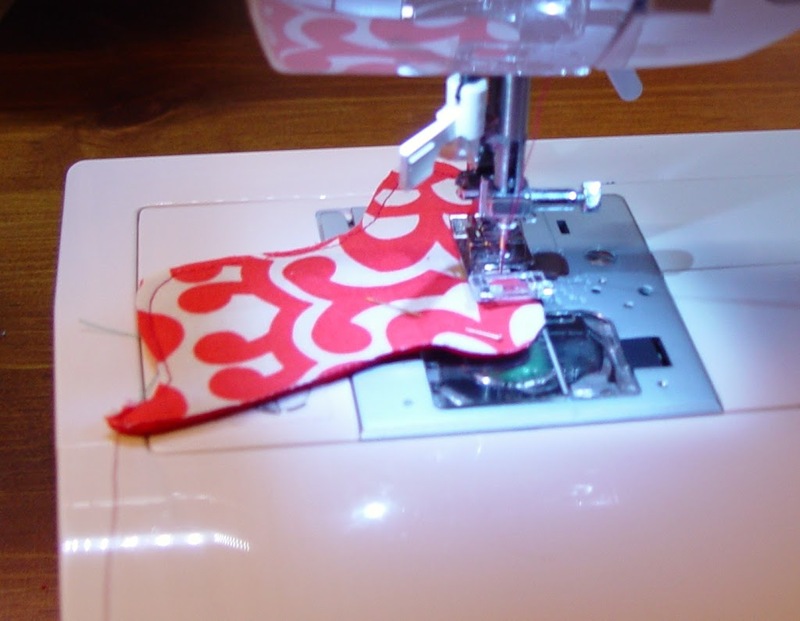 Pin stockings into the inside of the bias tape. Space the stockings 5″ apart. 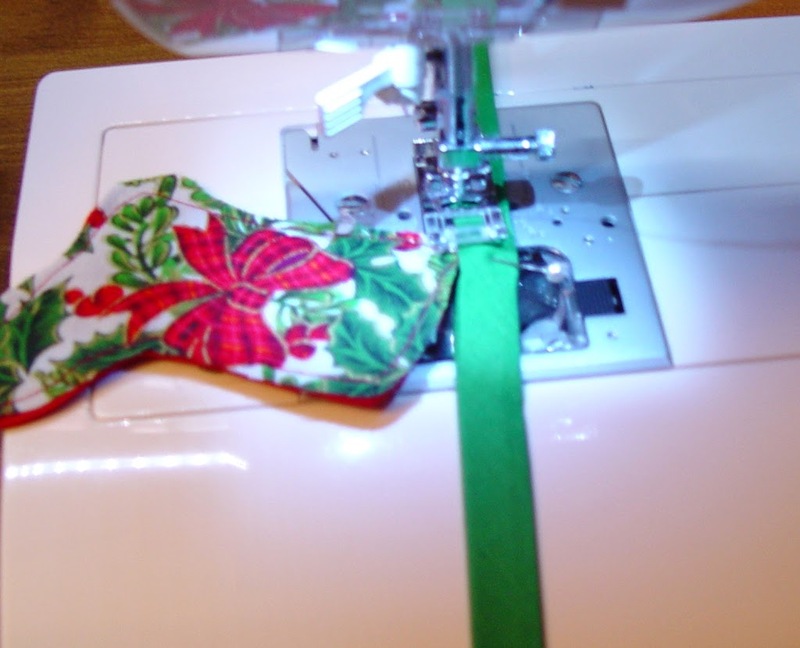 Sew along the edge of the bias tape, securing the stockings as you go. 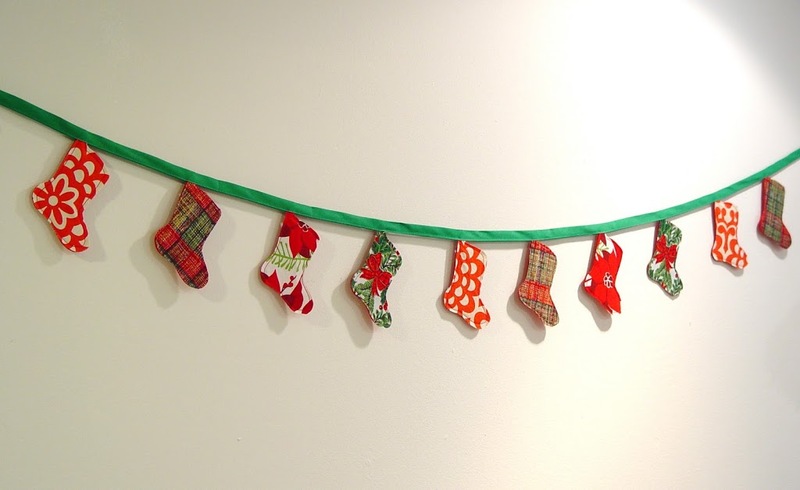 I made these this past Christmas and brought them to work and hung them in my cube. Everyone in my office thought they were the most darn adorable and cutest thing ever! 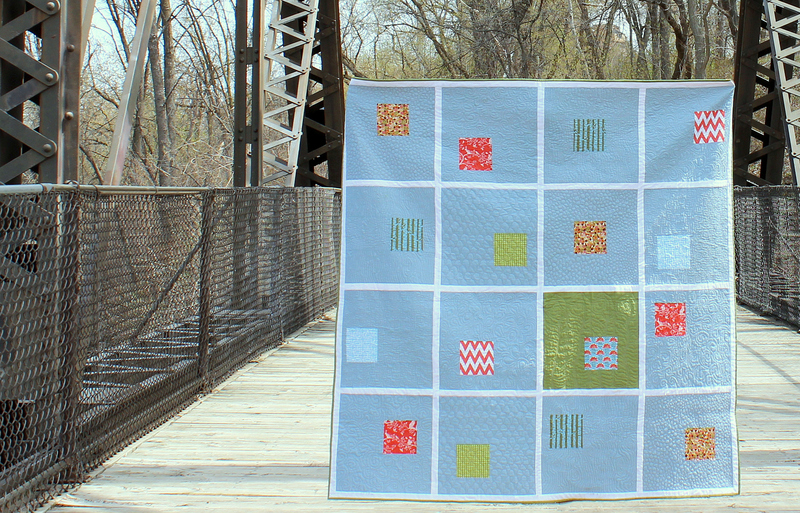 I am now just exploring the rest of your blog, I am excited to see you are base out of MN, which where I live too. It’s so awesome that you are base here. I follow a lot of blogs and have never crossed anyone from MN. Yeah!! 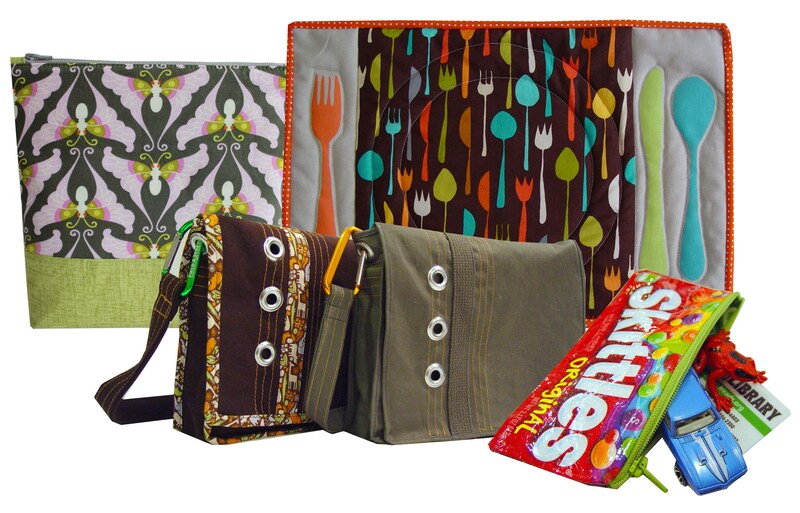 I will be following your blog and will “like” you on Facebook and follow you on Pinterest. So cute and perfect. 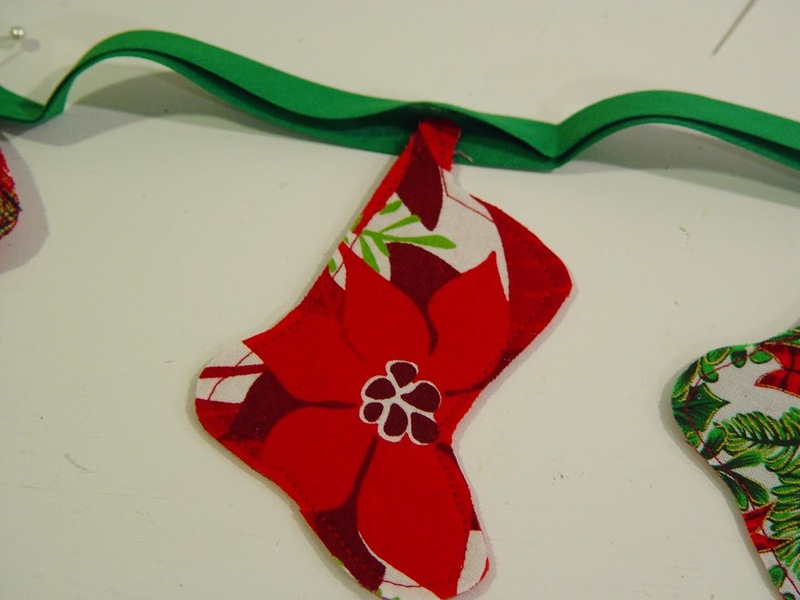 I saw some with jute cord where they hung from with little clothes pins with sockings hung. I love this! 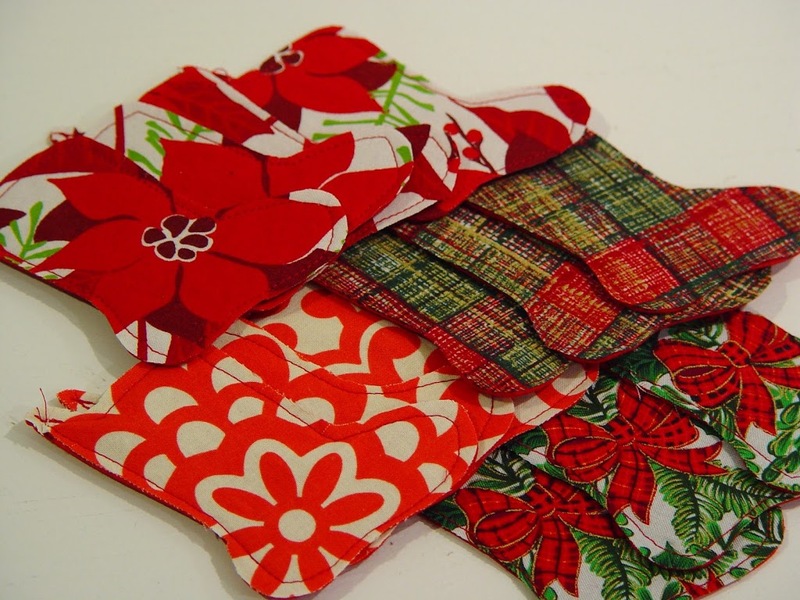 How do you keep the scrap fabric from fraying? They all look so smooth around the edges. It doesn’t fray much. 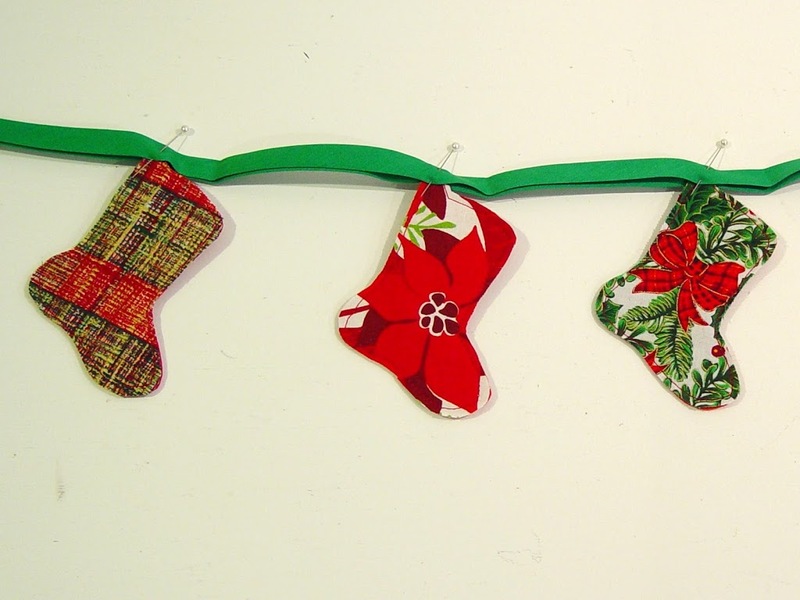 The stockings are stored for a large part of the year and then when displayed they aren’t handled much. There is a small amount of fraying over time, but it adds to the interest of the banner. 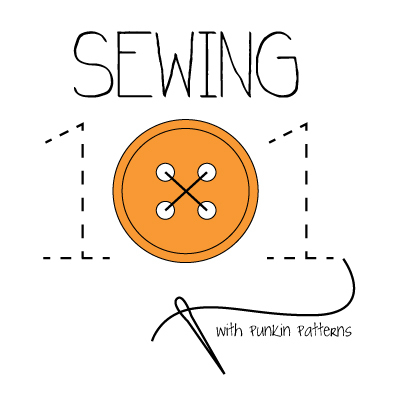 You could cut the fabric out with pinking shears to stop the fraying.